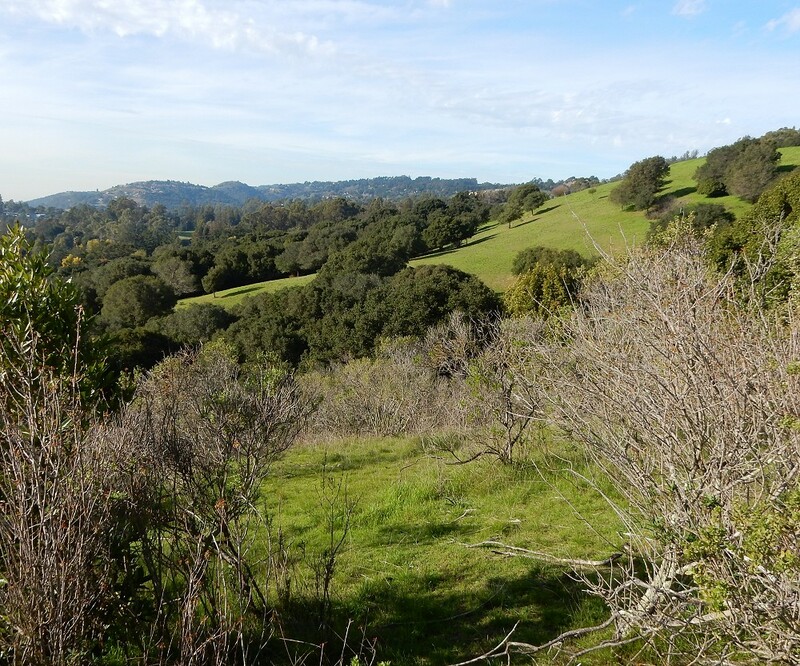 The upper part of Knowland Park is quite different from the lower part. I made a reconnaissance visit last week. Here’s the geologic map, along with white numerals indicating the localities I took the photos from or at. 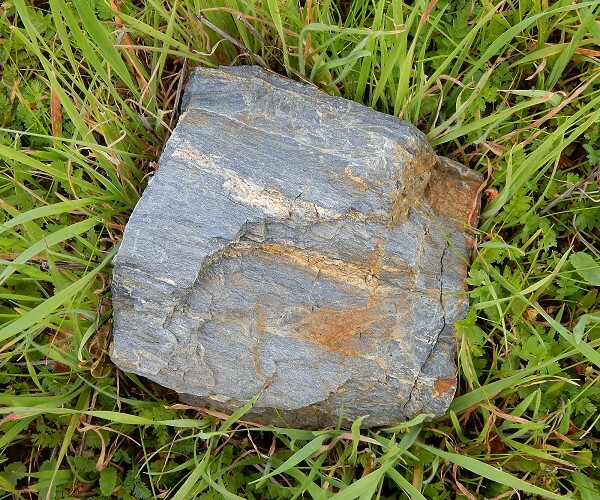 Whereas the lower part of the park (west of Golf Links Road) is dominated by Franciscan rocks and the Leona volcanics, the upper part is mapped as completely sedimentary. 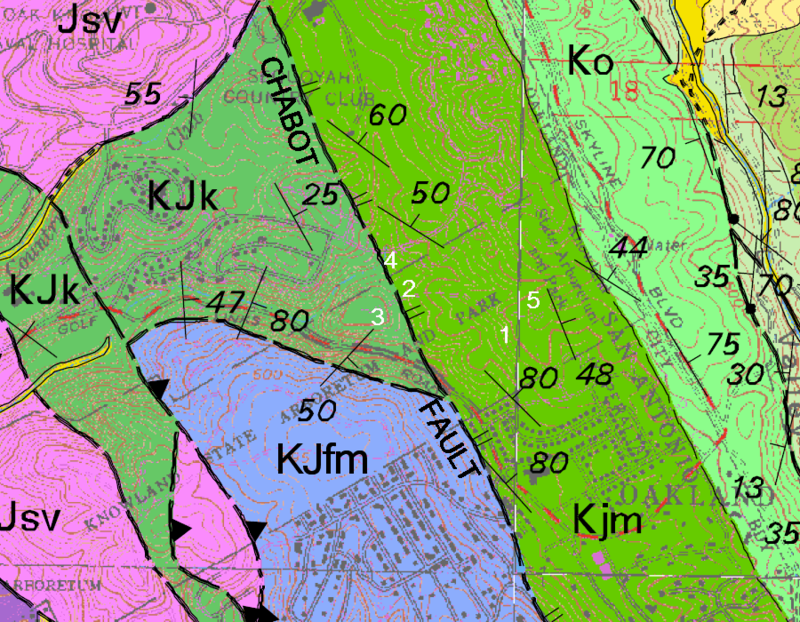 My main destination was the saddle between the areas mapped as Joaquin Miller Formation (Kjm) and Knoxville Formation (KJk), where the obscure Chabot fault runs. Here’s a view of the saddle and the bare knob of Knoxville beyond it. 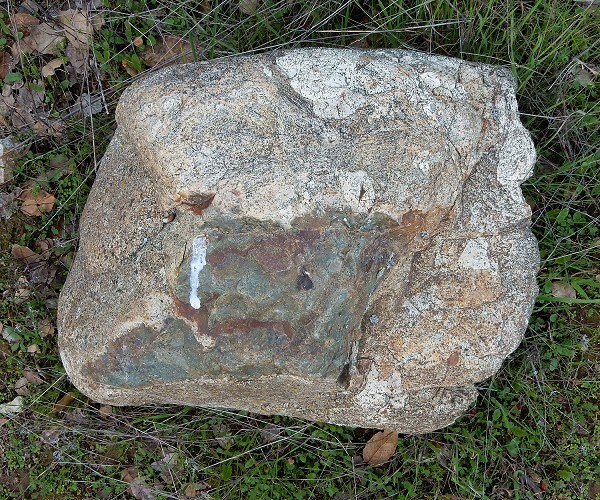 The Joaquin Miller is a fine-grained sandstone here, sometimes with a slightly slickensided texture that makes it almost glossy. The roadbed displays it nicely. The saddle doesn’t display any obvious signs of a fault. 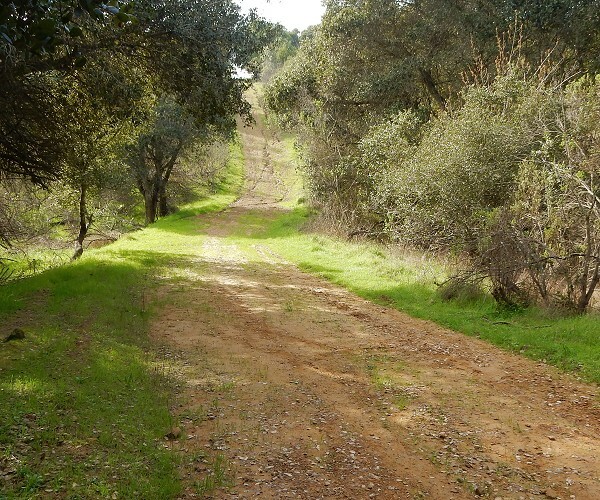 But as you approach it, the honey-colored rock in the roadbed . . .
. . . gives way to a deep sandy soil with chunks of strange rock floating on it. Not what I expected at all. 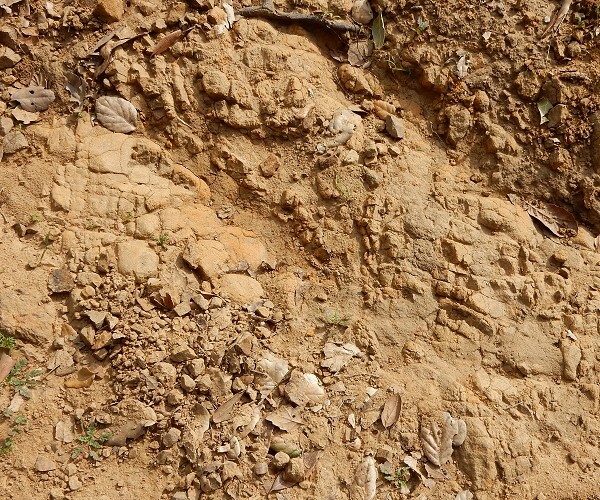 I thought I’d see a hard, dark shale/conglomerate like what’s in the streambed of Arroyo Viejo. Instead it looked for all the world like a Franciscan assemblage. 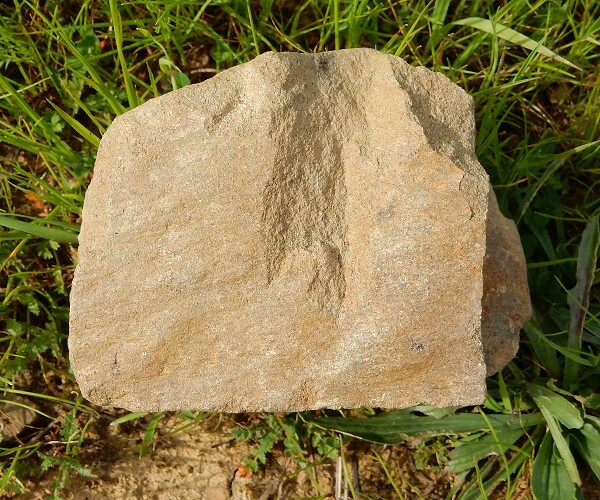 Here are a few of the stones. 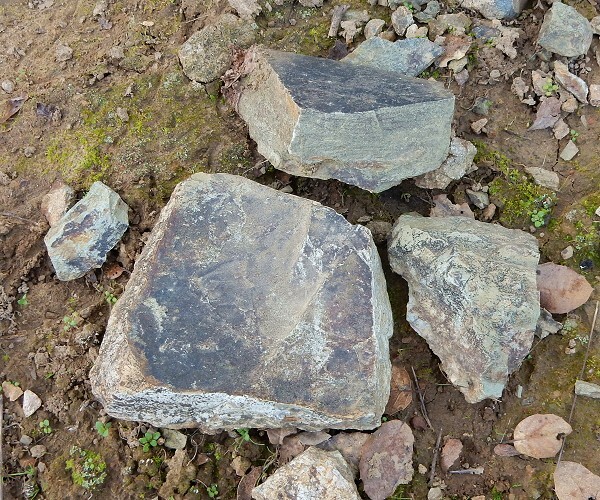 This last specimen, and the first, appear to be bits of the Leona volcanics. So there is some complexity here that’s not recorded on the map, perhaps a splinter of Franciscan that got mixed up in here. I didn’t learn much about the Chabot fault, except that the abrupt change in lithology is a sure sign of a fault contact. I’ll have to do more poking around before I can write something coherent about it. (In fact, please ignore site 4 on the geologic map; I’m not showing that this week.) 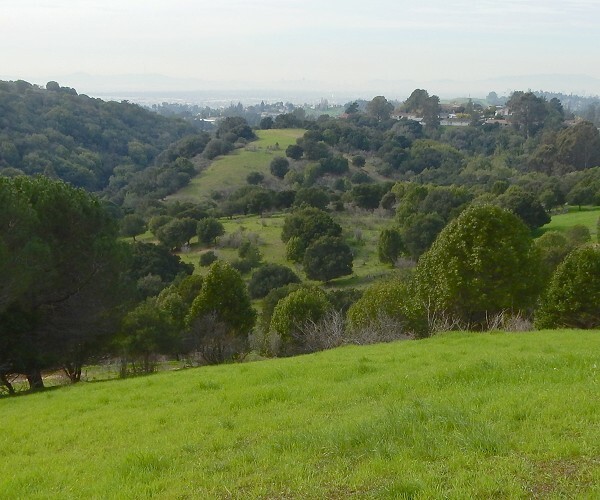 This is the view south from point 3 along the valley that marks the fault trace (1000 px). And here’s your weekly cheesecake shot looking north from point 5 (1000 px). Rabid fans will note Sugarloaf Hill on the skyline. 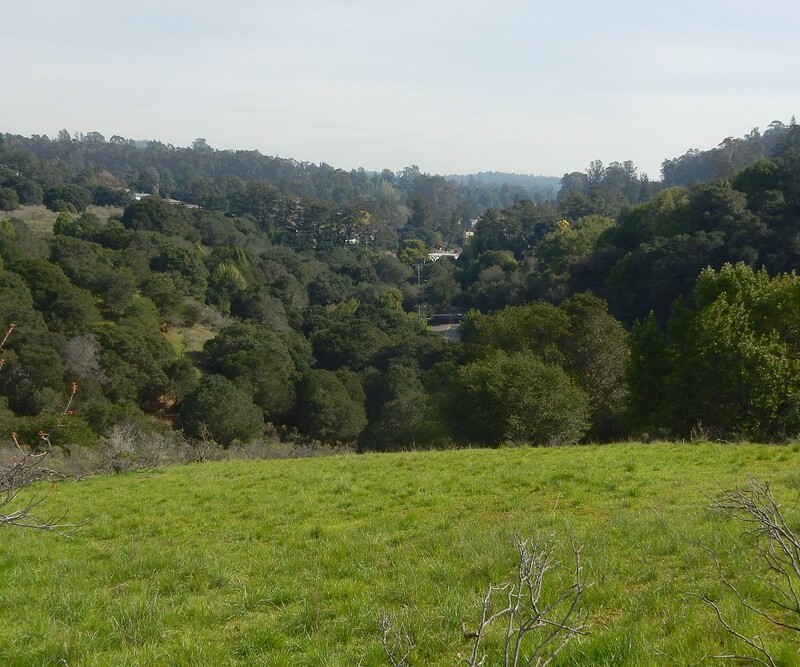 This is a great time to visit, but do watch for the newly sprouting poison oak. 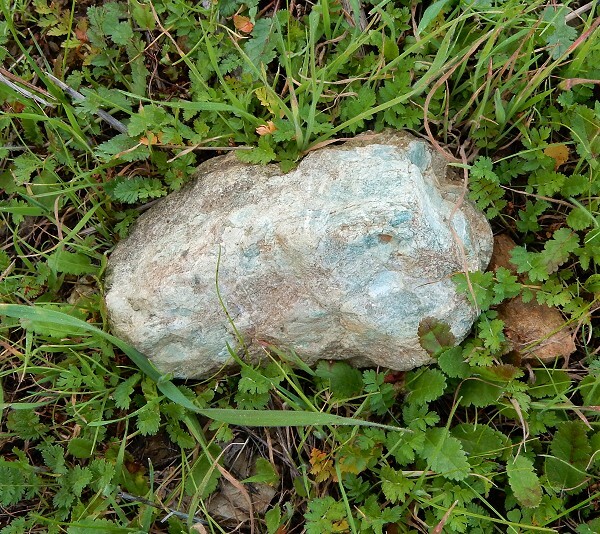 This entry was posted on 22 February 2016 at 8:03 am and is filed under Oakland geology views, Oakland rocks. You can follow any responses to this entry through the RSS 2.0 feed. You can skip to the end and leave a response. Pinging is currently not allowed. live up that way. thought all the faults were down closer to 580!